I first started receiving calls from ABN Amro Bank in 2007 for a credit card bill payment. 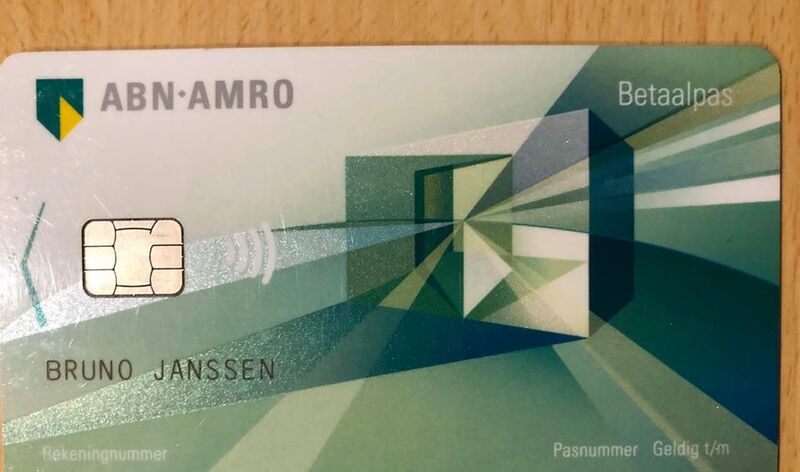 That was the first communication from ABN Amro. I tried to explain them that I have not received the card and requested to track the delivery of the card. Which they never cared to do instead kept calling me and troubling my parent. They call once in 6 months or whenever am available in India and trouble me with same discussions and no resolution. Attached is the image of the letter that I have submitted/couriered to ABN Amro, quiet some time back after being tired of explaining the same in “n” number of calls that I receive during the day, without any resolution to the concerns I expressed. I had also submitted a copy of the above said letter in a branch at Bangalore. Many collection agents have troubled my parents verbally and now my sister is being threatened. I preferred to communicate via email and sent scanned copies of courier and the letter I had sent to the Bank. so I don’t have to repeat this to any one else in the future. However I got no response to the same, instead they keep calling my sister and trouble her. Going beyond my scope, i even tried contacting the vendors where the card has been used, and later realized it was beyond my strengths. If the bank had shown due diligence in tracing out where the card was delivered actually and what went wrong based on my inputs during the first call back in 2007, I wouldn’t have to explain all these so many times to them and feel mentally disturbed and stressed. I have utilized home loans and other credit cards, which I have been paying promptly. I would like to clearly state that ” I have never received the card and will not pay for something that I haven’t spent”. At this point In need your help to face the situation legally and prove my innocence. How Indian Customers Can Fight Unsolicited Credit Cards and Bills thereof ? The RBI – Indian banking Regulator which controls the operations of all credit card companies have been strictly mandating banks not to issue any Unsolicited Credit Cards. Even if Cards are issued at the request of Customers, it is the duty of the bank to verify that the card has reached the correct customer. You’ll have to dispute the Bill with the Card Issuing Bank reading the RBI Master Circular, Section 8 which details on the same. With such action arising out of the bank, you will also have to fight for your Credit Score & Report. In your written dispute make sure Banks do not report the matter to CIBIL and other Credit Information Bureaus – Experian and Equifax which can negatively affect your credit score. Readers can extend their defense using the above main points while writing to Card issuing bank. This entry was posted on Wednesday, October 28th, 2015 at 12:40 pm	and is filed under India Credit Card Help Guide.